Arsenal have been linked with a summer move for Barcelona star Samuel Umtiti in the summer. The imposing defender has struggled with injuries this season prompting speculation he could leave the Nou Camp in the summer. The Gunners have been reported to be interested in securing his signature if he does depart and have been linked with a £60m move for the French international. 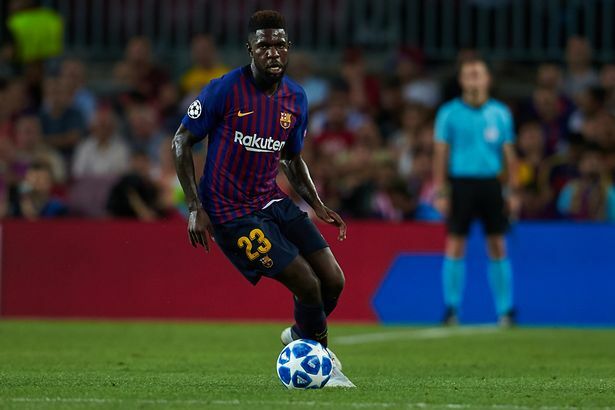 Umtiti is said to be considering his future after losing his starting place – and Unai Emery has fuelled speculation by praising the player. He also revealed how his nationality could also be a factor in convincing him to make a move to acquire his services due to past experiences with French players. Emery could be forced to work with a tight budget in the summer, particularly if they miss out on a return to Champions League football. The Gunners have their attentions on their Europa League quarter-final clash with Napoli on Thursday before travelling to Watford next Monday. Chelsea’s win over West Ham tonight (Monday) moved Emery’s side out of the Premier League top four and down to fifth place, although they have a game in hand on the Blues.